Today I'm sharing a drink that I made for the first time a little over two years ago. I was on a Downton Abbey kick (who hasn't been there?) and was feeling compelled to make drinks inspired by the dramatic characters of the show. Lady Mary was one of the first inspirations in this series of concoctions because, truth be told, I really sorta love her. Yes: Even the bitchy, cold, viper-like Mary who makes poor decisions and pouts over them. Maybe she's a fellow Scorpio? I digress. 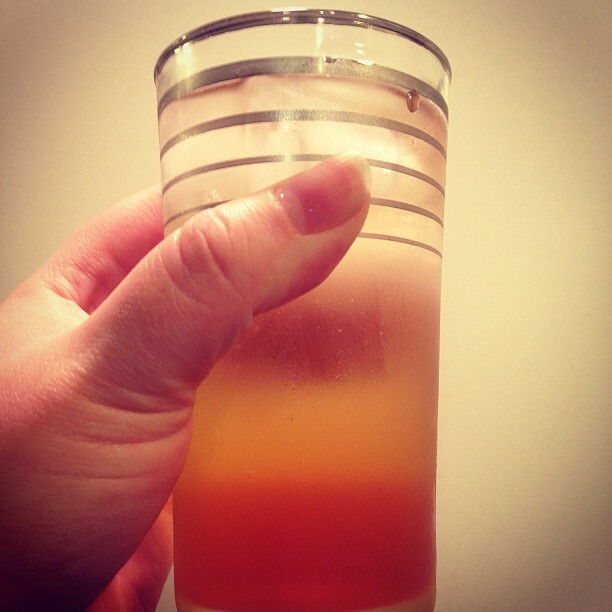 I made this drink on a whim, took a photo of it on instagram... And then never made it again, as is the case with most of the Downton cocktails I was devising on weekly basis. It was pretty delicious. I almost thought to make that same drink again for this blog, but it's the wrong season for roses here, and I'd be doing you a serious disservice if I didn't explain how to make that rose liqueur. Can you buy rose liqueur at a liquor store? Sure, sometimes you can find it. But it's a little harder to locate, and I've honestly never owned a bottle of it! So I got to thinking about a Lady Mary 2.0. Without getting too spoilery, the cocktail above captured Mary in her rosier state of mind, but that's not particularly suitable for the Mary Crawley you might recognize if you've been keeping up with the show. The more recent Mary is decidedly moodier... And I love me some moody characters. You might notice I'm using tea again in this cocktail. 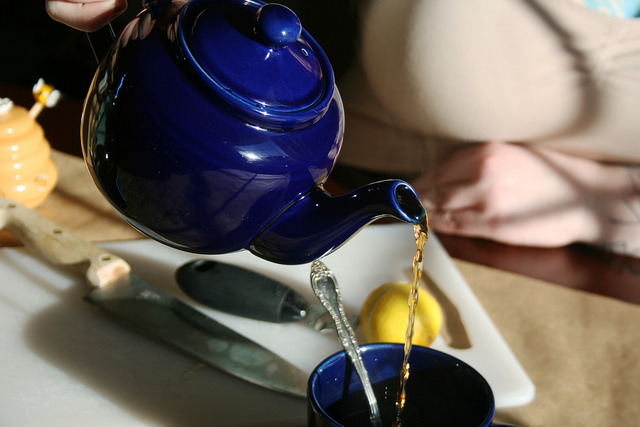 I think tea is a woefully underused cocktail ingredient-- it's got a hint of bitterness, is kinda earthy, and can bring lovely flavors to the party if you know how to use it. The Lady Mary, A Sara Galactica cocktail original. Add bitters (not pictured). Zest lemon over cup to get all the juicy lemon goodness. Leave zest in mug. Stare into the darkness and join Mary in her moody depths. You'll both rebound... But a little brooding never hurt anyone.